Now that my little ones aren't quite so little anymore. (They are two and five!) I'm always on the lookout for projects for them to do. Enter Kiwi Crate. What is it? 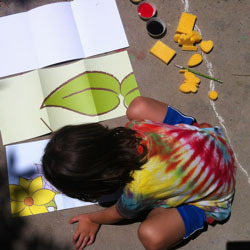 Kiwi Crate is a monthly subscription service for crafts for kids, ages 3-7. Each month your child will receive a box (about the size of a large shoebox) packed full of supplies for at least two projects each month. Initial Impressions? When we first cracked open the box I was impressed by how lovely it all looked. The way they packed it and organized it. And the quality of materials was not what I was expecting. The quality was way better! To give you an example, the kid scissors included are made by Fiskars. Far better quality than any we already have for the kids. The paint brushes were also surprisingly nice, not those nasty plastic bristle ones you get with most kids' craft sets. And everything needed was included - clear stickers to use as tape, string, paint...just, everything! When I first heard about the subscription service I was skeptical, thinking that I can just as easily go to the craft store and pick up materials for projects. However, I soon realized that it actually wouldn't be that easy. If a project needed a rubber band I couldn't buy just one. I'd have to buy a whole bag of rubber bands. Same goes for everything. Plus, I'd have to come up with the projects in the first place which takes quite a bit of time. What Kiwi Crate does brilliantly is offer convenience! Kid Impressions Each monthly box is centered around a theme. Our theme was bugs which delighted them of course. One of the projects was for making a colorful lightening bug (decorated with the colorful square stickers you see them using below) and included a glow stick to go inside. Both my two and five year old were occupied for about 40 minutes decorating and designing their bug. They both needed help with certain parts but most of the project was on their own. During this project they both said they wanted to keep getting these surprise crates in the mail so this was certainly a hit. After this project was over (and they played with their finished bugs for quite a while) they wanted to jump right into the next project which was a stamping project using sponges and paint. The paper was also provided, as was a brush and pencil and even little cups for the paint. The only thing I provided from our house was towels for clean up after. The boys were thrilled with the flat little sponges that expanded instantly in water. This lead to a discussion on why that would happen and whether or not the sponges would flatten again once they were dry. 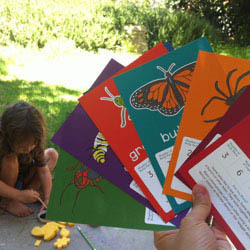 The projects also came with info cards that was educational about the bugs. I could definately see these craft boxes as being a fun jumping off point for learning. Another thing I should mention is that they have a child "add-on" feature where you can get supplies for 2 kids. This is awesome, no fighting! My boys were both thrilled that they didn't have to share supplies. The only downside I could see with this subscription service is that you can't pick your monthly theme and you don't know what it will be in advance. (However, you can pick a theme for giving a single month gift.) 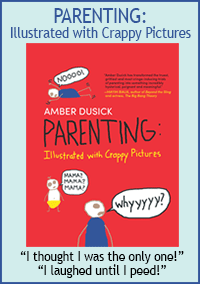 I'd love to know in advance because it would be fun to grab a couple books on the theme at the library or have other materials at the ready to really turn it into a unit study. My boys had some really great questions about bugs while they were crafting, and it would have been wonderful to have a bug book at the ready to explore with them while their interest was hot. On the other hand, it is a wonderful surprise each month! So check out Kiwi Crate! This would make an excellent gift too. Tons of fun! Full Disclosure - I do not receive payment for reviews & I'm not affiliated with Kiwi Crate. They kindly sent me a sample crate to review, but I wouldn't have reviewed it if I didn't truly love it so much. Go to the Kids Lunch Ideas Section for food ideas that are perfect for this lunch box! Back to the top of the Kiwi Crate Review page.